Culham Conference Centre is situated within Culham Science Centre ideally located in an attractive yet convenient rural location covering eight hectares of Oxfordshire's beautiful green belt countryside. Ideally located in the beautiful countryside of Oxfordshire, this purpose built facility is situated at Culham Science Centre, home to CCFE, Abingdon. 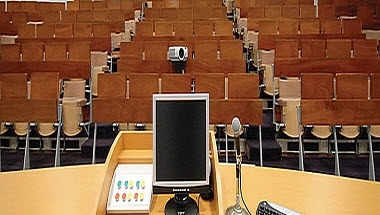 Culham Conference Centre is operated by OCS Group, one of the UK’s leading providers of property support services. This unique venue offers a highly successful formula comprising a prime location, superb facilities and quality catering, as well as excellent value for money. 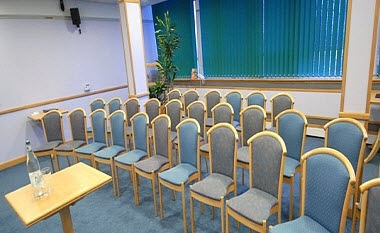 Culham Conference Centre offers a choice of seven purpose built conference rooms, accommodating between 2 and 234 delegates. 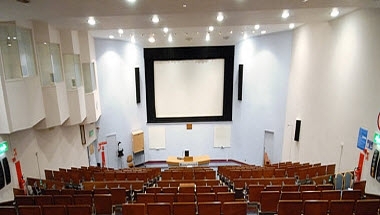 Our largest conference space is the impressive John Adams Lecture Theatre, seating up to 234 delegates in a tiered theatre style and well equipped with the very latest presentation technology, including an advanced integrated audio visual system, large cinema projection screen, stage lighting and roaming and lapel microphones. Our further six meeting rooms, ZETA, PHOENIX, TOSCA, DITE, CLEO and COMPASS cater for 2 - 70 delegates. Our exhibition space is offered to suppliers of products and services to fusion research. Ideally located in the main entrance foyer area, capturing a high volume of traffic.